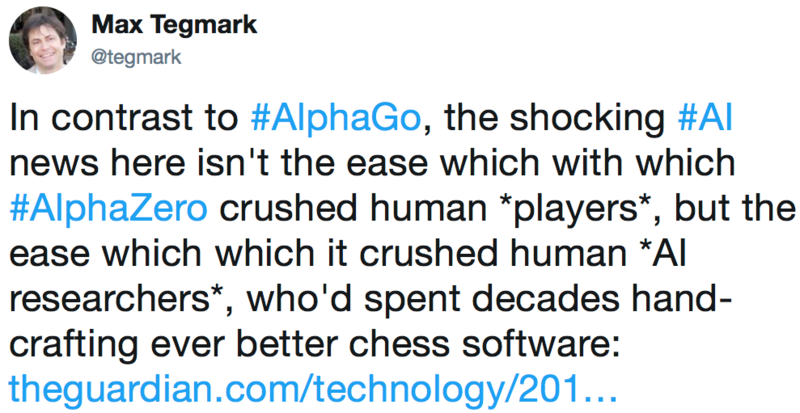 Demis Hassabis, the founder and CEO of DeepMind, announced at the Neural Information Processing Systems conference (NIPS 2017) last week that DeepMind’s new AlphaZero program achieved a superhuman level of play in chess within 24 hours. The program started from random play, given no domain knowledge except the game rules, according to an arXiv paper by DeepMind researchers published Dec. 5. AlphaZero also mastered both shogi (Japanese chess) and Go within 24 hours, defeating a world-champion program in all three cases. The original AlphaGo mastered Go by learning thousands of example games and then practicing against another version of itself. David Silver, Thomas Hubert, Julian Schrittwieser, Ioannis Antonoglou, Matthew Lai, Arthur Guez, Marc Lanctot, Laurent Sifre, Dharshan Kumaran, Thore Graepel, Timothy Lillicrap, Karen Simonyan, Demis Hassabis. 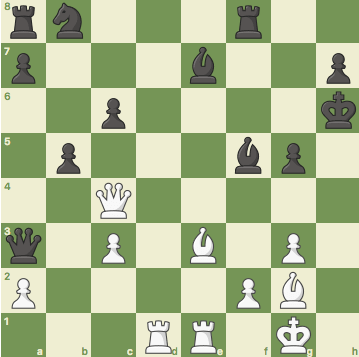 Mastering Chess and Shogi by Self-Play with a General Reinforcement Learning Algorithm. arXiv:1712.01815 [cs.AI].